If your spine was damaged due to the negligent actions of someone else, you should not have to pay for the resulting medical expenses or go uncompensated for the negative impact such an injury will have on your life. Instead, you can file a personal injury lawsuit against the negligent party in order to receive a monetary settlement. 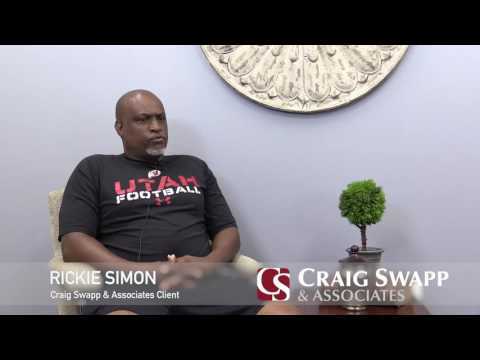 A Spokane spine injury lawyer from Craig Swapp & Associates can help you through the legal hurdles and represent you throughout the process. Whether your spine injury was caused by medical malpractice, a car accident, or something else, we’ll be able to help you determine how to proceed with your case. Retaining the services of a spine injury attorney in Spokane doesn’t necessarily mean that you’ll have to court. In fact sometimes hiring an attorney is precisely what convinces the other side to negotiate in good faith. However, if they fail to make you a reasonable offer, filing a lawsuit may become your best course of action. Whichever course of action is most appropriate for your situation, we’ll represent you and advise you of what the next step should be. Schedule an appointment with a Spokane spine injury attorney from Craig Swapp & Associates today. We will begin gathering the evidence necessary to build a strong case for why you deserve financial compensation. The lawyers of our firm are committed and dedicated to serving the needs of our clients. We’ll do everything possible to get you the settlement you deserve. Getting started is as simple as completing the contact form below or calling 1-800-404-9000.